Igbo quit notice: No cause for alarm, says military – Royal Times of Nigeria. It was responding to requests by concerned Nigerians following the recent notice by some Northern youths for Igbos living in that part of the country to quit not later than October 1. He added:” Other means such as the Nigerian Army call Centre, short code 193 and email: HYPERLINK “mailto:na.callcentre@ army.mil.org” t “_blank” na.callcentre@army.mil.or should be readily utilized. The Armed Forces hereby reaffirms its commitment to protecting the lives and property of all Nigerians living in any part of the country. “Therefore, all should go about their normal life wherever they are living without fear or intimidation. 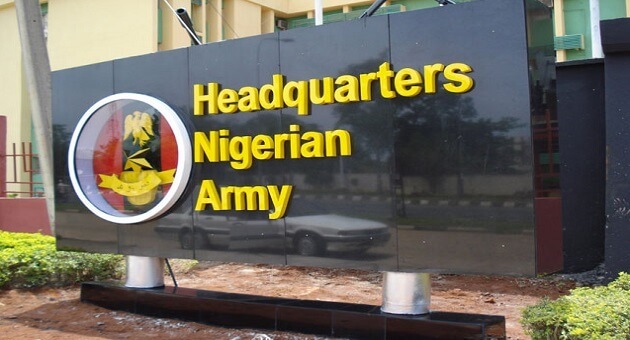 Meanwhile, the Defence Headquarters wishes to notify the General Public, Ministries, Departments, and various Agencies in Nigeria, that the Nigerian Army has established an Information Call Centre where the Nigerian Army could be easily reached for the purpose of information sharing. “The dialing short code call number is 193 and the e-mail address to send message is; HYP E R L I N K “mailto:na.callcentre@army.mil. ng” t “_blank” na.callcentre@army.mil.ng .